The 20th century saw the rise of mass media, mass production, and mass marketing. In the 21st century, an increasing number of publications announcing the twilight of the mass marketing media. It is starting to feel inevitable that a truly developed economy should be characterized by diversity—diversity of products and diversity of messaging—in order to meet the diverse needs of modern consumers. As any Chinese person will tell you, people in the north eat (wheat) noodles, and people in the south eat rice. In modern times this is a dubious claim, and according to the Wall Street Journal, it may be much more significant that northerners and southerners grow wheat and rice, respectively, as this has given rise to all sorts of surprising cultural differences. However, food culture around China does vary vastly. In general southerners are more adventurous eaters, particularly when it comes to more exotic meats (delicious, crunchy locusts, for example), and internal organs. There are regions like Sichuan that are passionately dedicated to their local cuisines to the point of rejecting not just foreign food, but also most other regional Chinese food. There are also Chinese provinces with significant halal markets. Americans, and Westerners in general, tend to be wholly unaware of these differences, and likewise, the average Chinese person’s conception of the USA is lacking in nuance. Few of the millions of Chinese people who avidly follow Two Broke Girls realize that, even insofar as it accurately portrays Brooklyn, it tells them nothing about daily life in Utah or Minnesota. The truth is, the United States is so diverse that when you hear someone talk about “the two Americas”, it’s anyone’s guess whether they are referring to North and South, coastal and inland, rich and poor, or any of the countless other ways the country could be divided. The world is connected. Exporters have access to markets on the opposite side of the world, and big data allows companies to create profiles of customers, making this a time of unprecedented opportunity. However, access and data mean little without the linguistic and cultural savvy to know what to say to customers in foreign markets. Many Chinese companies see the opportunities that exist right now, and would like to take on Western writers, but the process of finding, hiring, training and retaining Western employees is difficult and time consuming. Indeed, sometimes difficulties can stem from the very culture gap that companies are trying to bridge by hiring foreign employees. 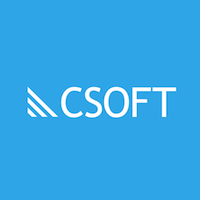 At CSOFT, we have a diverse team of native English-speaking specialists available for project-based work with international companies. CSOFT has long fostered a culture of sharing and mutual support among its staff, all of whom are experienced professionals who have something valuable to contribute.